Working with Claudio Martin and his team on Critical, we have consistently finished in the top of the Fleet at the NA’s and several other regional events. Our 36.7 sails are built to be really fast, easy to trim and they are built to last! 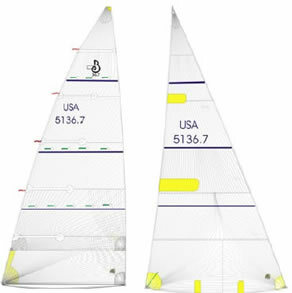 We have been using the Dimension/Polyant D4 Sailmaking process with great success. 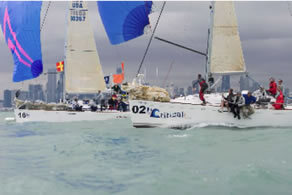 Our sails are a Carbon/Twaron Blend that gives great performance and longevity.